facility for meetings and fellowship of Alcoholics Anonymous and Al-Anon. 24th Street, Inc. (the “Club”) is a not-for-profit corporation, and as such, cannot affiliate with Alcoholics Anonymous or Al-Anon. The club’s sole purpose for existing is in our Mission Statement above. Any person who is a member of Alcoholics Anonymous or Al-Anon IS eligible for 24th Street, Inc. Membership. 24th Street Memberships help us budget and pay our monthly operating expenses. We primarily rely on revenue from memberships, rent from 12-Step groups that meet at 24th Street, and general donations to operate. Contributions in 12-Step meetings go to the 12-Step group, not to 24th Street, Inc..
Each group pays monthly rent to 24th Street for use of clubhouse rooms for their meetings. 24th Street, Inc. depends on your Membership and Donations. 24th Street became a Domestic Nonprofit Corporation in the State of Georgia on April 25, 2018. The name, 24th Street, was chosen to honor the first A.A. clubhouse, which was located at 334 1/2 West 24th Street in Manhattan. The 24th Street Clubhouse in Manhattan became Bill and Lois’ first steady home in years on November 4, 1940. 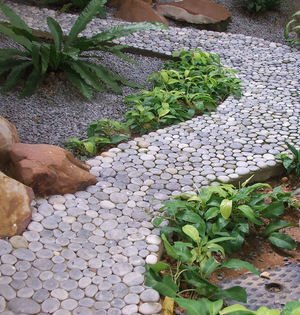 They remained there for the next five months before moving to what is now known as Stepping Stones. A.A. meetings were held regularly downstairs for years. 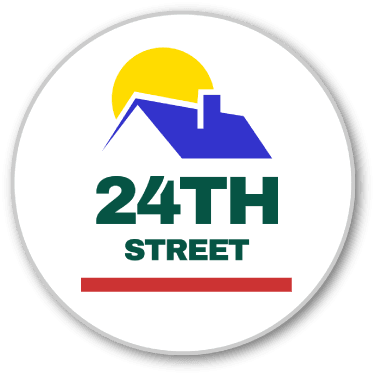 Our Board decided that 24th Street was the perfect name for our Clubhouse in Athens, GA, since our goal is to provide a stable, safe environment for Alcoholics Anonymous and Al-Anon members and groups. 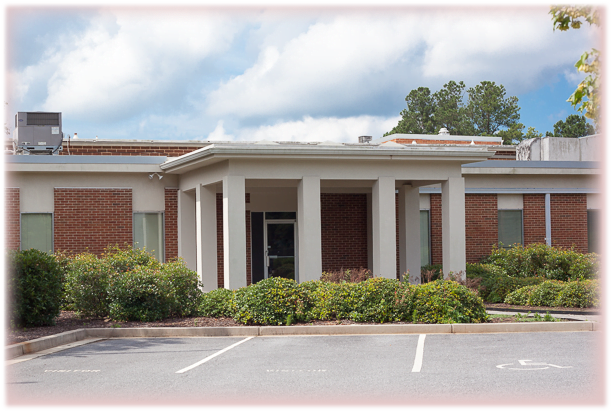 A Lease Agreement was signed on May 22, 2018 for a portion of the building at 150 Collins Industrial Boulevard in Athens, GA and the Club opened September 1, 2018. We currently have six A.A. Groups and one Al Anon Group holding regular meetings at our facility. We look forward to many more Groups joining us as we grow in numbers and Fellowship. Clubhouses have long been a part of the recovery community in Athens. The Biscayne Room was home for Athens’ oldest A.A. group, Athens Biscayne Group. Later the Cobb House became home for many of our long-standing A.A. groups, such as Noon Cobb, The Cobb Group, Easy Does It, and an Al-Anon group as well. In 2007, the Cobb House was sold and the groups that met there were forced to disperse around the Athens Area. In 2017, the property where the Biscayne Room was located was also sold, thus causing the Athens Biscayne Group to find a series of new homes. In early 2018, a group of A.A. members, led by Bill T., formed a committee to investigate opening another clubhouse in Athens. Al-Anon was asked to join the committee and the discussions began. Within six months, a Georgia nonprofit corporation, 24th Street, Inc., was formed and a site selected for the new clubhouse. In simple terms, 24th Street provides to A.A. and Al-Anon what the Groups cannot provide for themselves. Most A.A. and Al-Anon groups meet in churches, hospitals, treatment centers, or similar places. Under long standing Traditions, A.A. and Al-Anon groups never own buildings or meeting halls. This allows them to avoid the problems and controversies that too often arise from property ownership. Clubhouses, like 24th Street, Inc., are formed because many A.A. and Al-Anon members want to have their “own place” to meet and to enjoy between-meeting fellowship. An A.A. or Al-Anon group cannot itself provide such facilities, but a separate club can. The groups pay rent to 24th Street, Inc., thus covering a portion of the cost of Club operations. In one sense, 24th Street is the “landlord” and the groups the “tenants”, although their relationship goes well beyond that. The Club focuses on material needs, freeing the groups to concentrate on their primary purpose: recovery from alcoholism (or in the case of Al-Anon, the effects of alcoholism). Let us know if you have questions, concerns or suggestions. 24th Street is a State of Georgia Nonprofit Corporation dedicated to providing a safe environment for recovery from alcoholism. ​ 24th Street, Inc. is NOT affiliated with Alcoholics Anonymous or Al-Anon. Not receiving 24th Street emails?